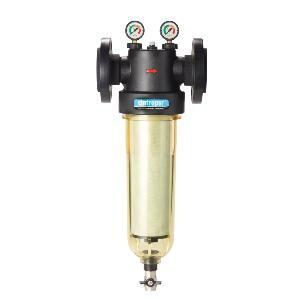 Cintropur offers a wide range of Industrial water filters designed for filtering water for a wide range of applications. 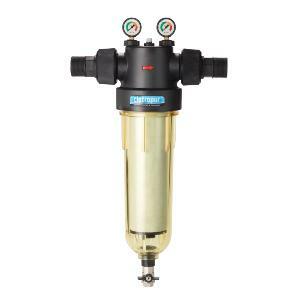 All Cintropur Industrial water filters are made of high-quality synthetic materials and offer connection options from 2" BSP to DN80 Flange Connections and yields from 18,000 to over 32,000 litres per hour with very low load losses. 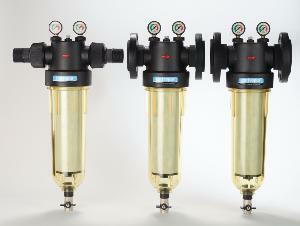 CINTROPUR® offers a double-stage of filtration concept. First, the water flow from the inlet is directly transformed into a centrifugal spin which forces the larger particles down into the lower bowl. The next stage of filtration is achieved by the exclusive filter sleeve, available in different micron ratings ranging from 1 to 300µ. 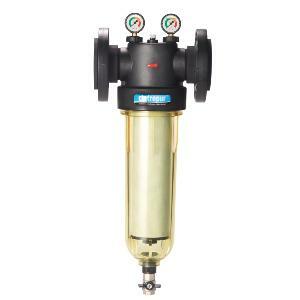 Supplied with a 25 micron filtering sleeve as standard, two pressure gauges and a purging valve as standard issue. The new industrial range features 3 filters and is capable of handling flow rates from 20 to 30 m³/h. Basic principle : Filtering out solid particles (earth, sand, rust, etc,) suspended in the water. Two pressure gauges 0-20 bar indicate the system pressure and load loss at all times. 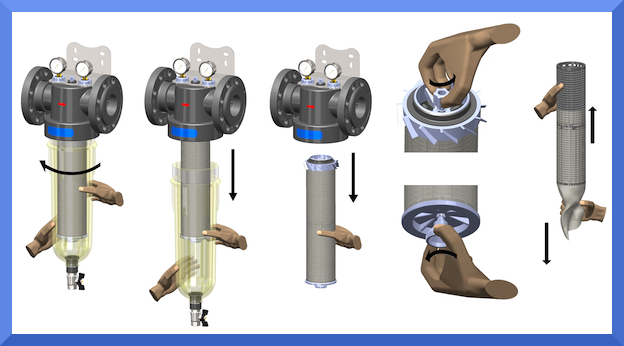 Filter sleeves are to be changed at ΔP of 2 bar or at least 3 times a year. The Cintropur Model NW650 is designed to work with flow rates of up to 25m3 per hour with a peak flow of 28m3 per hour. The Cintropur Model NW800 is designed to work with flow rates of up to 32m3 per hour with a peak flow of 35m3 per hour.